From Novice to Pro The Wunderdog waxes poetic on NFL, NCAA Basketball, College football and MLB gambling, how to handicap and bet football, college basketball and major league baseball and other relevant topics. This article is designed to guide the beginning bettor through all the betting basics and terminology they will need to place that first bet, start wining and get in the big game..
Wonder how much you can win with my picks? Ever wonder what the chances are that you will lose? What about the chances that you double your money? How does betting my picks compare to other investments like the stock market? Get these questiosn answered here..
How do I report on my performance and calculate UNIT wins and losses? Should you play the money line? 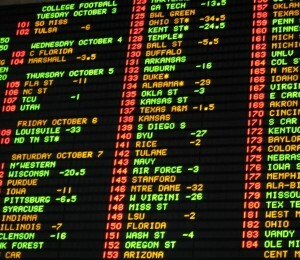 Read about my approach to betting college basketball games. See what I look at when handicapping college hoops. How should you pick NCAA basketball winners? Read about it.